Let no detail go unseen, with up to 16 bits of vertical resolution. 12-bit analog to digital converters deliver up to 16 bits of vertical resolution using advanced digital signal processing. 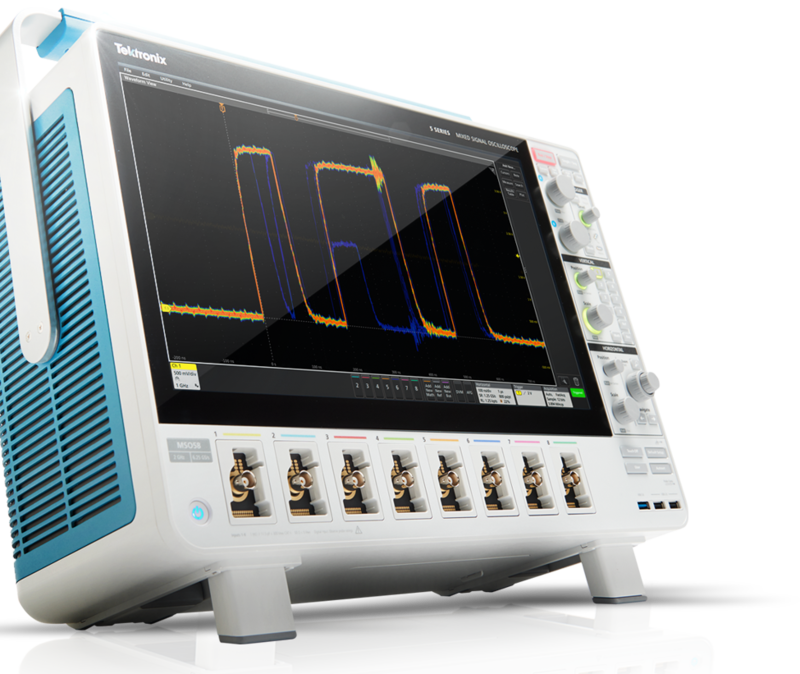 See and measure small signal details, even if they’re riding on large signals. More than a remarkably intuitive user interface: a delightful experience. Don’t run out of channels. Available with 4, 6, or 8 FlexChannel inputs. 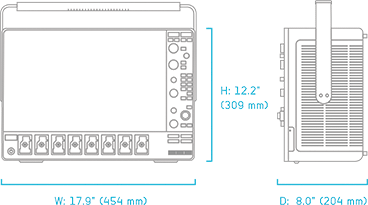 Each can be used to look at 1 high-resolution analog waveform or 8 digital logic waveforms, just by changing the probe. Cursors: Waveform, V Bars, H Bars, V&H Bars, Split Measurements: 36 standard along with Trend, Histogram and Spectrum Plots of measurement results. We were able to let Shahriar have an 8-channel, 2 GHz instrument overnight before he headed out on the road for several business trips. He plans a full review down the road. 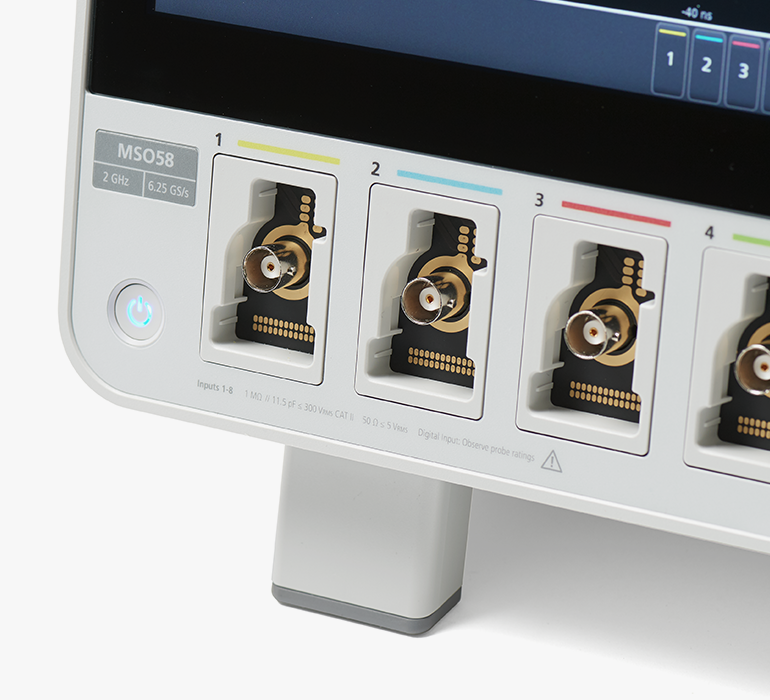 As he notes, the 5 Series MSO is a complete, built from the ground up new-design and has a number of never-seen-before features including 4, 6 or 8-channel models, analog and digital flexible inputs (FlexChannels), a large HD 15.6 display and a new touch user interface unlike any other GUI available on a scope -- to name a few.